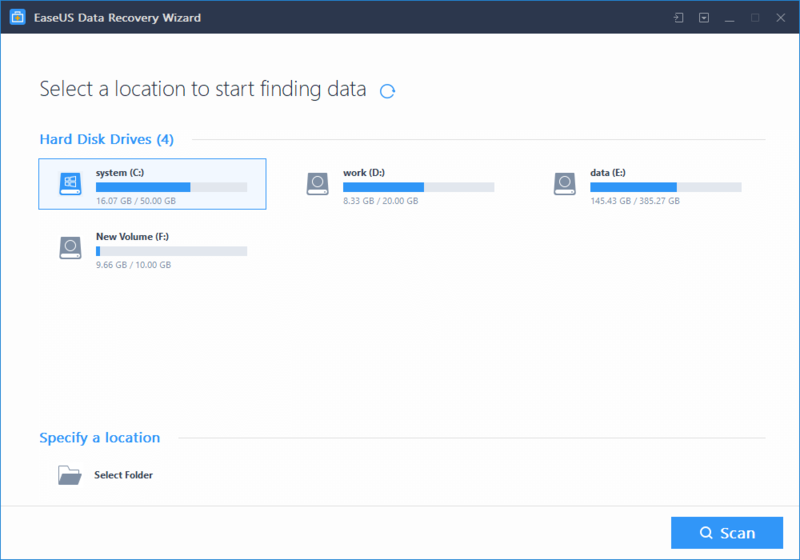 Download EaseUS Data Recovery Wizard Free 12.8 setup for Windows. EaseUS Data Recovery Wizard Free 12.8 is an impressive data recovery software that allows users to recover deleted, formatted, or lost data from PC, laptop, or removable devices. 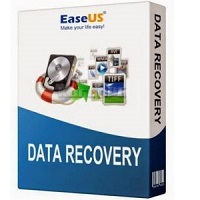 EaseUS Data Recovery Wizard Free 12.8 is one of the best and most demanding data recovery software in the market. It is simple, quick and easy to use free data recovery software. It attracts users with its powerful data recovery functionalities. No matter how much data is lost and which are the reasons behind it, EaseUS Data Recovery Wizard’s algorithms have excellent ability to recover it. 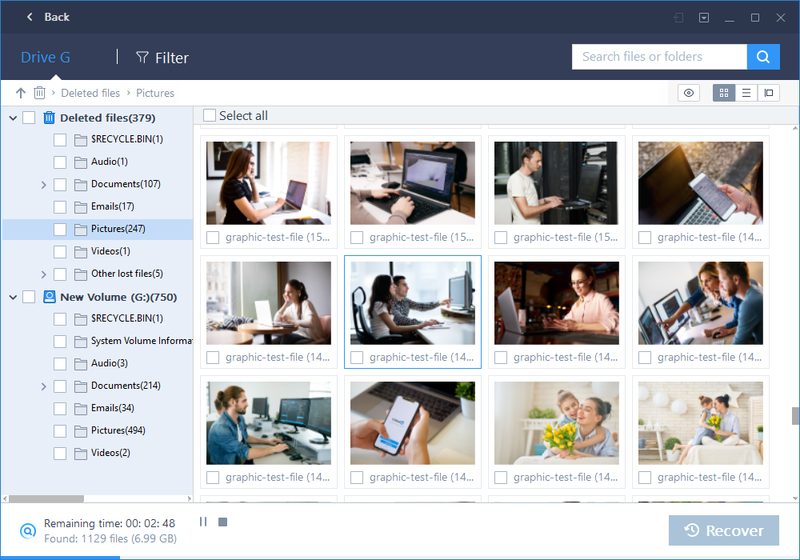 Its smart and unique data recovery mechanism enables users to recover their lost photo, videos, documents, multimedia files, music, email, and other data just in a few clicks. Users can recover their data that lost from PC/laptop Hard Drive, External Disk, SSD, USB Drive, Micro Card, Camcorder, Digital Camera, Music Player, Video Player, RAID, CF/SD Card, Zip Drive, Pen Drive, and Other Storage Devices. This fantastic data recovery software recovers the data that lost due to virus attack, OS crash, lost partition, empty recycle bin, formatted, or accidentally deleted. The lost data could be recovered with just 3 simple clicks. 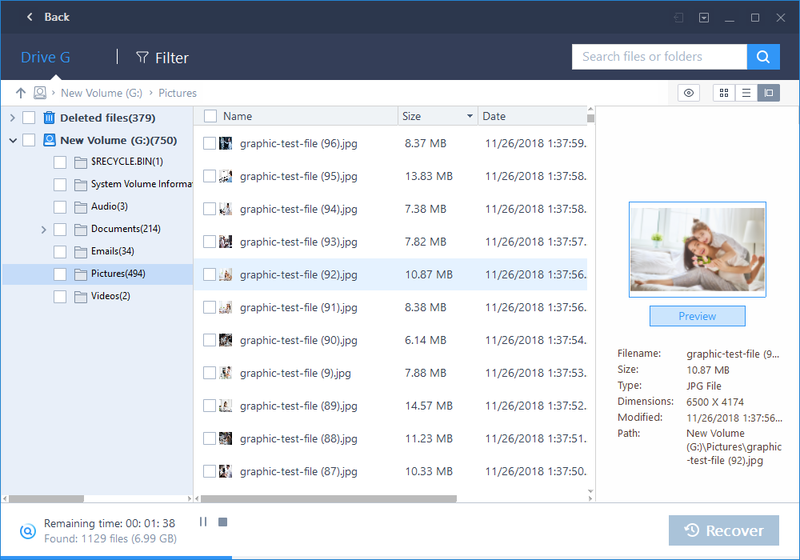 Users just need to search for deleted files and folders, preview before final recovery and choose what to recover to avoid unnecessary recovery. In the process of data recovery it supports all most all popular document formats such as OC/DOCX, XLS/XLSX, PPT/PPTX, PDF, CWK, HTML/HTM, INDD, EPS, while in videos, it allows users to recover AVI, MOV, MP4, M4V, 3GP, 3G2, WMV, MKV, ASF, FLV, SWF, MPG, RM/RMVB, MPEG, and in graphics files recovery, it makes possible to recover JPG/JPEG, TIFF/TIF, PNG, BMP, GIF, PSD, CRW, CR2, NEF, ORF, SR2, MRW, DCR, WMF, RAW, SWF, SVG, RAF, DNG, etc. Similarly, in Audio files, it helps users to recover many audio files like AIF/AIFF, M4A, MP3, WAV, WMA, APE, MID/MIDI, RealAudio, VQF, FLV, MKV, MPG, M4V, RM/RMVB, OGG, AAC, WMV, APE, etc. Apart from these popular formats, it also helps users to recover Email formats such as PST, DBX, EMLX and other files such as Archives (ZIP, RAR, SIT, and ISO). The best thing is that EaseUS Data Recovery Wizard recovers the files without losing the originality. To sum it up, if you are looking for best and easiest to use free data recovery software with excellent results, we highly recommend you EaseUS Data Recovery Wizard Free 12.8.